Explore the local area on a special walk, visiting a range of wildlife sites along the way. 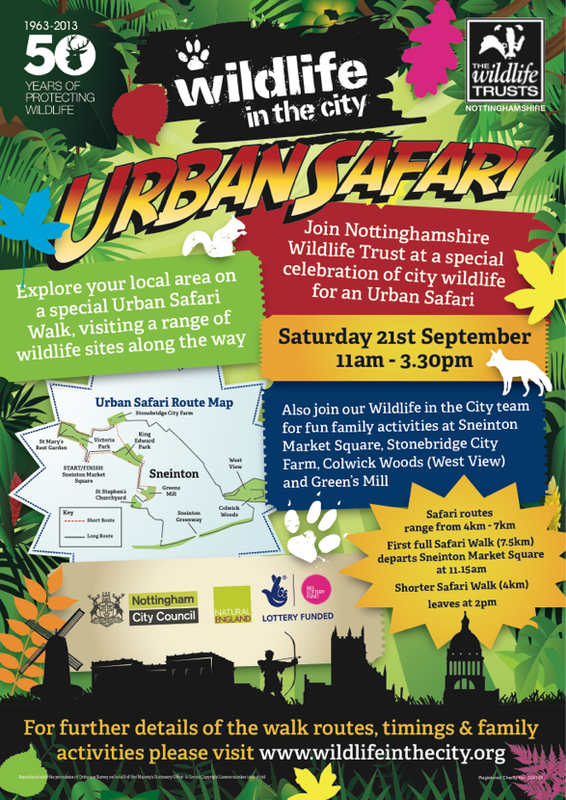 The Wildlife in the City team will also host fun family activities at Sneinton Market Square, Stonebridge City Farm, Colwick Woods (West View) and Green’s Mill. The first full Safari Walk (7.5km) departs Sneinton Market at 11.15am; a shorter Safari Walk (4km) leaves at 2.00pm. Visit the Wildlife in the city Website.